Inductive Automation's Ignition Community Conference reinvigorates system integrators, end users and developers. The technique puts trainee at key decision points to prioritize actions, objectives, or information requirements. With the latest release of AutomationDirect's new C-more HMI configuration software version 6.0 for the EA9 series of touch panels, the company is celebrating their new software by launching an HMI photo contest called "Show Us Why You Need an HMI Upgrade." FlukeConnect app gives maintenance techs access to test data in real time on their smartphones and the ability to push it to a common database in the cloud. Historian software offered bundled with PcVue’s HMI/SCADA for North America. Learn about new research that reveals the magnitude of the patching challenge for SCADA and ICS systems. Included is the downloadable presentation "Patching for Control System Security -- A Broken Model." 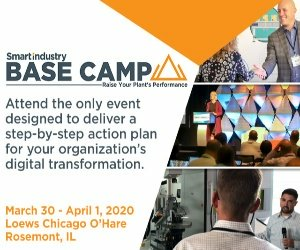 The advance program for the ISA Marketing and Sales Summit, 2013 edition, is now available with descriptions of master classes, breakout sessions, and topics galore in the only gathering of its kind in the automation industry. Invensys made a statement after the close of trading on 7/11 regarding the 3.3 Bn GBP offer from Schneider Electric. Schneider Electric has made a 3.3 Bn GBP offer for Invensys Pty. This includes the automation companies, Foxboro, Wonderware, Aventis, SimSciEsscor, and Eurotherm. Honeywell Process Systems announced the dates for HUG EMEA to be held in Nice, France from November 4-7 2013. ABB has won a $27 million contract from Statoil to upgrade the control and safety systems on the Heimdal platform in the North Sea. PAS announced the opening of its new training division, PAS University, to help customers solve problems and learn to use PAS products and services. NovaTech has released version 14.1 of its D/3 DCS platform, including backward compatibility, batch capability, alarm management and cloud based tools. B&R Automation PC 910 is the first programmable controller to use the power of Intel's Core i7 processor in an automation product. Invensys has acquired the SmartGlance visualization software product from Sarla Analytics LLC. SmartGlance allows data push and pull from tablets, notebooks and smartphones.